* The authors are the Chairpersons of ‘Save Sekhemka Action Group’ in the UK and Egypt, respectively. The sale of the Old Kingdom statue of the Court Scribe Sekhemka to an anonymous private buyer by Northampton Borough Council for £15.76 million in 2014 has recently made headline news. This statue is particularly important, as it is the only statue of its kind – from the 5th dynasty – known to exist in an undamaged state. The Brooklyn Museum in New York houses a similar statue, but it is severely damaged. The sale of the statue sets a dangerous precedent as it threatens that other items on public display in British Museums could be sold to private collectors. The following discussion of the historical and legal aspects of the issue is based on the considered views of the ‘Save Sekhemka Action Group’. This is a civil society organisation established to campaign against the sale of the statue. Although the Action Group’s campaigning could not halt the sale, it succeeded in pressuring relevant government institutions to impose an export ban that has prevented transfer of the statue outside the UK. The Action Group was able to achieve this through cooperating with a number of institutions and officials in both Egypt and the UK. The Sekhemka statue came into the possession of Northampton Museum through the second Marquess of Northampton, a British antiquarian who had acquired a collection of Egyptian artefacts during his visit to Egypt in 1849-50. In 1880, the Marquess’ son, the fourth Marquess of Northampton, donated his father’s collections to the Museum of Northampton. At the time, it was typical for the nobility, rich merchants and dignitaries to lend or donate parts of their collections to museums so that the public could have access to them. A Deed of Gift was drawn up between the fourth Marquess of Northampton and Northampton Corporation. Significantly, the 1880 Deed stated that the collections are a gift, but should Northampton Corporation try to sell any item, the collections would revert to the donor and his family. There is no documentation of what the second Marquess purchased in Egypt or whether these artefacts were exported lawfully (i.e. with the permission of the Egyptian Monarch). This is curious, as the British Museum in London has such documentation for all the artefacts donated to it by the second Marquess of Northampton. Starting in 2010, the idea of selling the statue was floated around after it was valued by the Museum’s insurer at £2 million. In 2012, Northampton Borough Council announced that it would sell the statue and that the proceeds would go to the restoration of Delapre Abbey, a country house dating back to medieval times. The Friends of Northampton Museums and Art Gallery objected to the proposed sale for two reasons: (1) it could not be ascertained that the Council owned the statue. The 1880 Deed had not been made public at this point, and it was widely assumed that the statue had been lent to the Museum by the second Marquess’ family; and, (2) selling the statue would deprive the museum of its accreditation and thus of all outside funding needed for special museum projects and purchases. The Friends of Northampton Museums and Art Gallery even offered to pay for enhanced security measures for the statue, but the Council refused. It was clear that the Council was adamant on selling the statue. In November 2012 some members of the Friends and other interested people formed the Save Sekhemka Action Group, which began campaigning to prevent the sale, and later ban the export of the statue. The Action Group immediately began gathering information under the Freedom of Information Act. This information clearly indicated that a number of museums in the UK had advised against the sale and refused to buy the statue. The 1880 Deed of Gift was eventually made public when Lord Northampton (the seventh Marquess of Northampton), presented a copy of it to the Northampton Museum management. The Museum argued that the 1880 Deed was of no legal significance and that the Sekhemka statue had been in the museum’s possession since 1870. This claim, however, was not verified by experts. In spite of the Action Group’s efforts, on 23 April 2014 Northampton Borough Council announced that the sale of Sekhemka would take place at Christie’s on 8 July 2014. The sale had become possible because the Council had reached an agreement with Lord Northampton granting him a 45% share of the auction price in exchange for relinquishing his legal rights to the statue. The Council would keep 55% and pay all the relevant sellers expenses. The Council stated that the proceeds from the auction would go towards an extension of the Northampton Museum. In the run up to the sale there were further pleas and warnings to Northampton Borough Council not to sell the statue. All of them – including an appeal from the International Council of Museums – cited the danger such a sale represented in the context of the looting and trafficking of antiquities. These pleas were ignored. On 10 July 2014, Sekhemka was sold at Christie’s London for a World Record Price of £15.76 million. 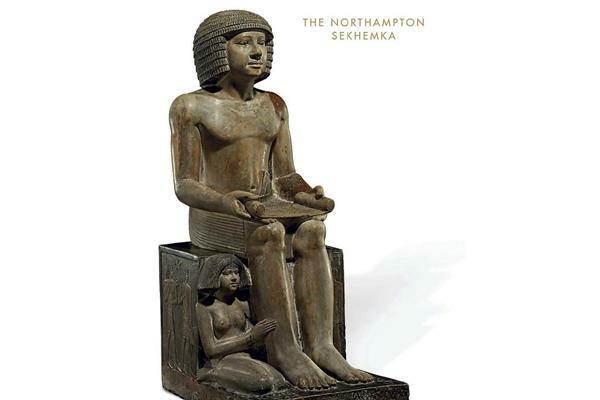 Within a month of the Sekhemka sale, the Museums Association stripped Northampton Museum of its membership, while Arts Council England withdrew the museum’s Accreditation. In early 2014, a few months before the statute was sold, the Action Group contacted the Egyptian Embassy in London. The Group sent petitions to the Egyptian Ministry of Antiquities and the Egyptian Foreign Affairs Ministry, which were particularly effective and reached the British Foreign Office and the Department of Culture, Media and Sports (DCMS). Suspecting that only a foreign buyer could afford the sale price, immediately after the sale the Save Sekhemka Action Group tried to establish who had bought the statue and if there would be a need for an export licence. However, Christie’s refused to disclose the buyer, citing customer confidentiality. Arts Council England refused to comment for similar reasons. Meanwhile, rumours of a Qatari buyer circulated immediately in the arts and museum world. However, this could not be verified. Action in Egypt was frenetic. Campaigning by the Action Group prompted the Department of Culture, Media and Sports to announce a Temporary Export Ban in March 2015 that would remain in effect until 29 July 2015. Simultaneously, the DCMS informed the Action Group that the only way to save the statue was to raise at least £16m to buy it back. The Action Group refused, arguing that not only would this represent a cross subsidy, but it would also legitimise and reward the utterly unethical sale of an object which was, and should have remained, in the public domain. Thanks to efforts in Egypt and in the UK the export ban was extended until 28 August 2015. At the time of writing, the export ban is still in place and the Secretary of State will pronounce on it in due course. The Save Sekhemka Action Group does not consider that any export licence can be granted until the issues of the precise history and legal ownership of the Sekhemka statue and the sale agreement between Northampton Borough Council and the Marquess of Northampton are laid out and adjudicated on by a Court of Law. Otherwise all parties involved may be liable to legal action. The Action Group also believes that the sale of Sekhemka sets a dangerous precedent that threatens all other UK Museum Collections. However, they are continuing their efforts in both Egypt and the UK, without giving up hope that Sekhemka will once again be seen where he belongs: on free public display in the UK or Egypt! Egyptian Women: Breaking through new barriers?